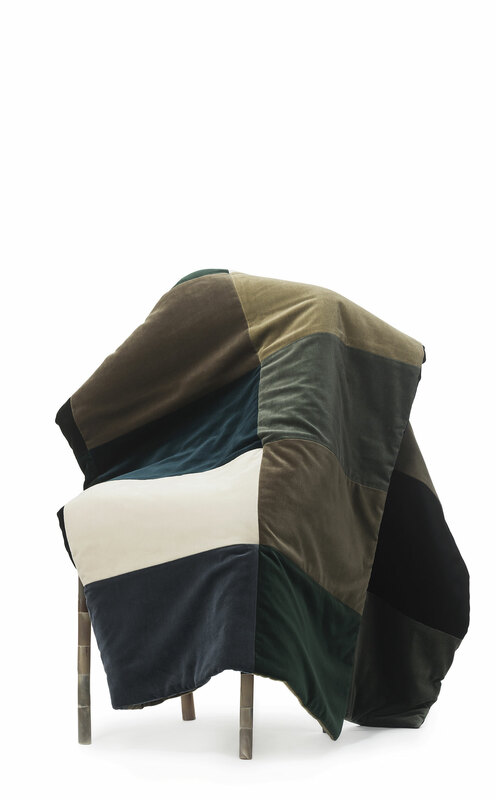 This precious patchwork cover by 3 PALMA can be used as a comfortable, warm, yet decorative throw on your couch. Patchwork of cotton velvet. A high quality synthetic fibre filling between the front and back part makes the cover even softer and warmer. To fix into position the three layers, small woollen felt pieces are sewn on the back part with a little bead. 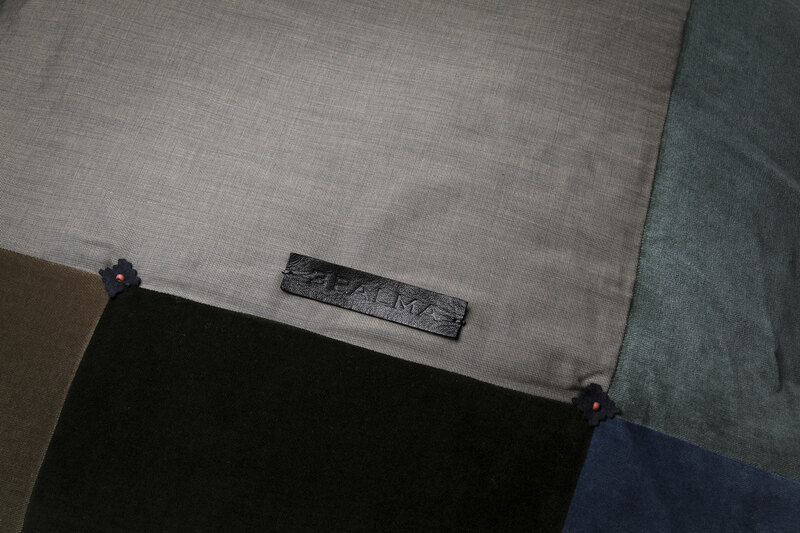 3 PALMA offers covers made to order in many different design- and colour combinations.